I am working for a company which is doing commercial jobs as well. 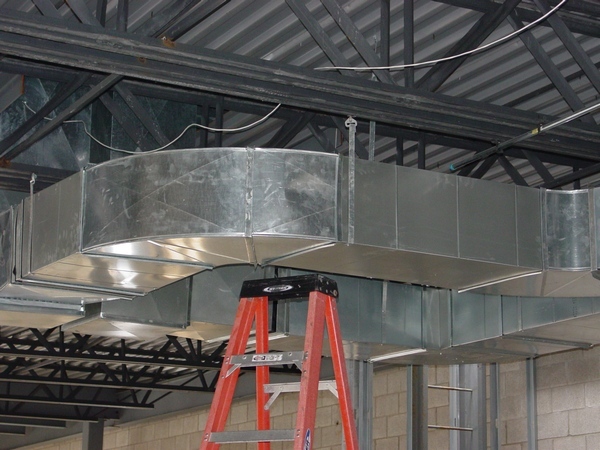 What you can see in the picture is a 16” spiral duct that is 18’ long with four register boxes cut in it. 1. What did I do to line up all four register boxes? 2. How did I calculate the distance between them, so they were set so perfectly centered? All two questions above are not difficult at all, but only if you just graduated from a High School! Otherwise, nobody even in my trade will meet this kind of issues too often. Therefore, if you have this kind of issue in front of you I can help. Price for my help is only $1.00. 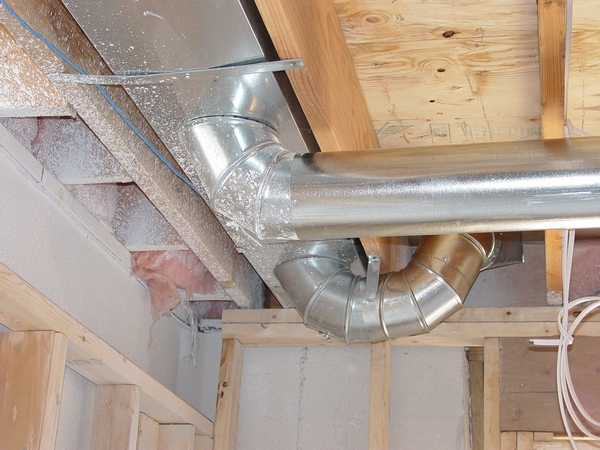 As you probably know in order to connect two pipes or fittings together all pipes and fittings must be crimped. The length of the crimp is 1½”. 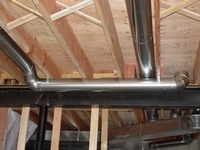 As you can see it in the picture the pipe is situated between two elbows. But let's say the distance between those elbows is longer than you see in the picture, and it would be 92 ½”. 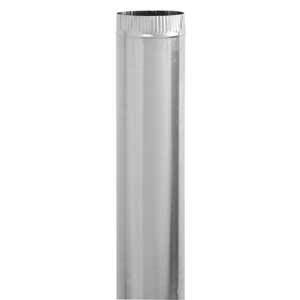 So, how long should be an additional piece of pipe if the first one has a standard length of 60”. I've resolved this issue in just 5 minutes! 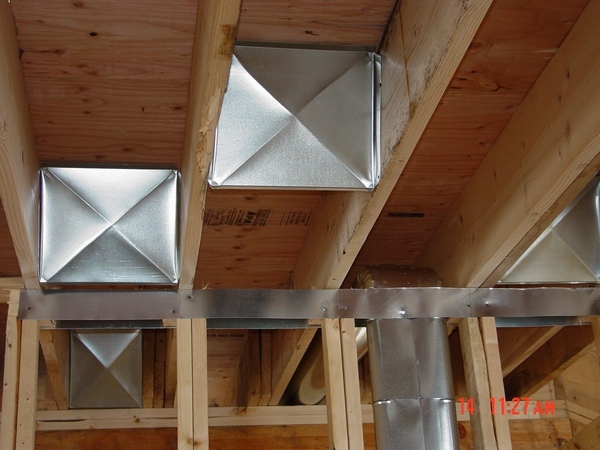 Answer to this question has its value mostly for the professional installers. If you make a measurement and the distance is bigger than the length of the whole pipe (60”, 30”), some of you don’t know what to do next! So, for the price of only $1.00 I can explain how to calculate an additional piece. What you see in the picture is a dent on the Flat 90*. I wouldn’t say it’s a big deal, but in some applications this dent can make a popping noise. 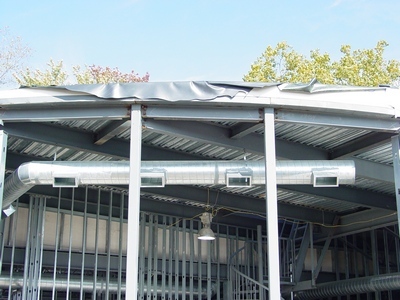 Also if you leave a duct with this kind of damage on it, it looks sloppy and unprofessional. So I fixed it in less than 1 minute. I’ve received this email some time ago: “I had my mom (the only one small enough) get behind my furnace to help me run a wire. In the process she had to squeeze against the return. I believe she may have popped it in. 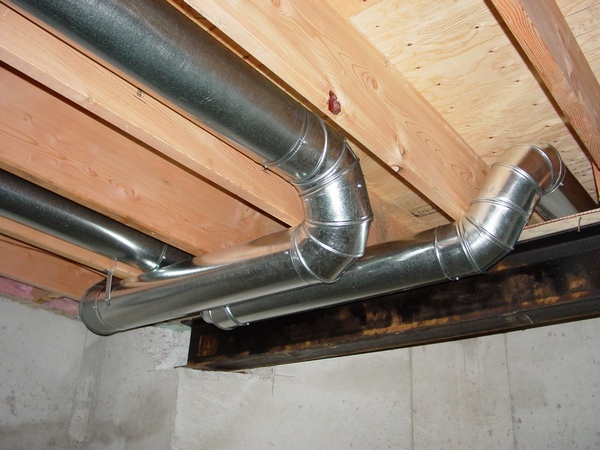 Now, when it starts and finishes its cycle the return pops.” If you are having this kind of help from your relatives or maybe you neighbor 6’6” hit your duct with his head you may need the answer to this question. So, if you have this kind of issue in front of you I can help. Price for my help is only $1.00. It’s always a fun to talk with a new guy when he got hired in your company! Usually he starts to tell you a story on how incredibly good he is and how fast he can do any kinds of duct installations work, while, let’s say, doing a piece-work. What he is expecting from you is a loud WOW!!! But I always keep “wows” as a last resort until the actual job is done. This time around when a newbie started to do blockers installation he spent 6 minutes for each. I looked at him and said that during this time I could get 3 blockers done and I’ve showed him the technique. So, now I was getting a huge WOW!!! So, for the price of only $1.00 I can explain how to do it. T he other day I was working at an old commercial building replacing old heat runs. Almost all of them were 9” round pipes and fittings, and my task was to replace them with 8” fittings, pipes and diffusers. At the same time my boss told me that I have to save as much old stuff as possible in order to help him to save some money. I‘ve been told that he will buy some 9” to 8” Reducers which will terminate every 9” heat run I am able to save, for the 8” flex. When it comes to the time to give me those reducers my boss found out that there were no such things available at all! There wasn’t any supply house in the entire Detroit area carrying things like that! He was lucky enough to find a few 9” round caps and 8” collars at the shop to make the reducers, but for the rest of the 9” heat runs he come up with another bright idea: replace them with 8” collars, pipes and fittings! As a good employee I’ve said – all right, but for myself I’ve said – no way! I’m not crazy to take all 9” Take-offs off, patch the holes, cut 8" collars in and run the pipes with fittings when all of it is already done and I need just a few lousy reducers! Luckily I found some 9” pipes and made the reducers in no time! 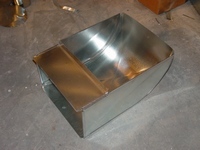 If you are a self-employed contructor or thinking about ductwork installation seriously you may need to know how to make a field-made reducer (I’m actually know two ways of making them). So, for the price of only $1.00 I'll explain how you can do it. On 06/23/2013 7” to 6” and 7” to 5” reducers along with 8 pictures were added. When you are doing remodeling there is always a possibility that people of the one trade destroy or break something of the other! As you can see in the picture the guys who were running the vacuum cleaner line broke a 7" Take-off. When superintendent asked me if I can fix that I've said no: I don’t have a 7” Take-off to replace the broken one, I can’t unscrew and pull out the Flat-Oval 90*, because it's inside the upstairs wall, I don’t have enough 7” pipes to replace the smashed one and of course I don’t have enough time to fix all this BS. Are you seriously thinking it was me? Of course not! In 20 minutes I’ve fixed everything, cleaned up the job and went home! I don’t know if you paid attention, but in order to fix this heat run I've used the techniques taken from two previous tips plus an additional one. If you think that you need to know how to fix this heat run pay me $1.00 by the “BuyNow” button below and I’ll let you know what should be done! What you can see in the picture is an 8”- 8”- 8” Tee. 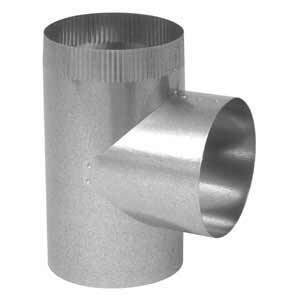 This kind of Tees could be pretty expensive, because there is no high demand for the fittings like this. Furthermore, if you need a different kind of Tee, let’s say 8”- 6”- 8”, or 8”- 7”- 8” tees they could be out of stock or you might just forget to buy one. There is a very simple technique on how to make any type of tees. I usually make it in less than 10 minutes! 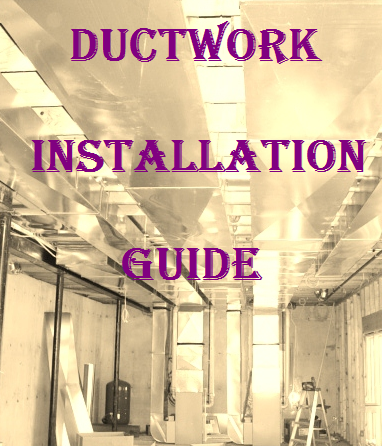 If you are a self-employed contractor or if you are thinking about ductwork installation seriously you may need to know how to make a field-made Tee. For the price of only $1.00 I can explain how to do it. However, sometimes it is virtually impossible to do, just look in the picture. Therefore, there are only a few ways how to keep this drive in place and only one of them is the right one. So, for the very low price of only $1.00 I can explain to you what to do! Just click the “BuyNow” button below and the “Drive Connection Trick” is going to be yours!!! 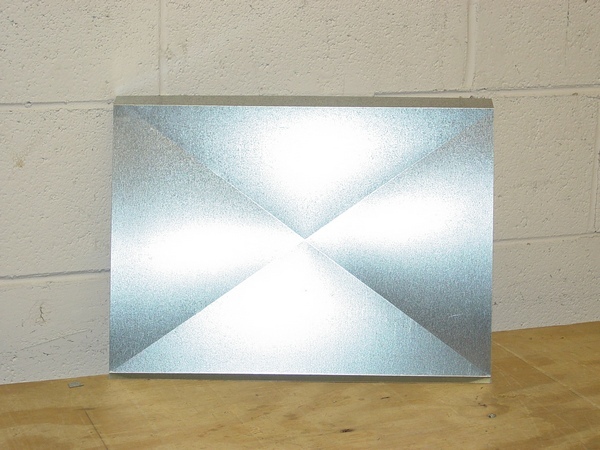 What you can see in the picture is a 14” x 8” stack 90* with a transition to 14” x14”. The manufacturer made drives and S-sides on the wrong sides: where you see drives-sides there is suppose to be S-sides and vice-versa. In order to make this fitting work I should have made new drives, but the problem was with the 1” throat. When you are dealing with the 1” throat, a folder becomes useless, because you cannot bend this side well enough. However, I managed to make this drive very fast and easy! For the very low price of only $1.00 I can explain how to resolve this issue!